Join the leading broking professionals across the country! Our conferences provide brokers with straight-talking, practical advice to help them grow and improve their businesses. Our multi-award-winning events have grown exponentially over the years to become the industry's leading suite of events with unparalleled networking opportunities. The event suite includes a range of conferences delivered by brokers for brokers, in which a stellar line-up of speakers from a range of industries and disciplines challenges, inspires and motivates brokers into action to better their businesses. 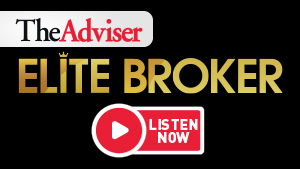 The Adviser also runs a series of industry-leading awards focused on mortgage brokers, and the lenders and service providers that support them. The awards aim to acknowledge the brokers that are leading the charge – those with the most effective businesses, teams, marketing strategies and integrated offerings – but also the lenders and aggregator BDMs that are best servicing brokers’ evolving needs. Our awards also provide a unique opportunity to celebrate the top-performing brokers in each state, who may not always get recognition at a national level.